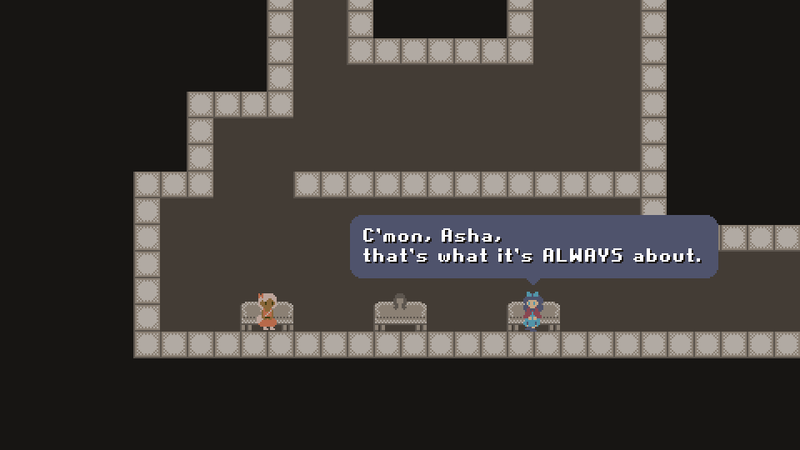 All To Get Her is a puzzle-platformer by vgperson about two girls and their quest for the ultimate reward. Asha and Brooke are girls with a shared dream: to become the next Mana Goddess, the source of all magic. However, they're also fierce rivals, always doing what they can to show each other up, never conceding to the other. 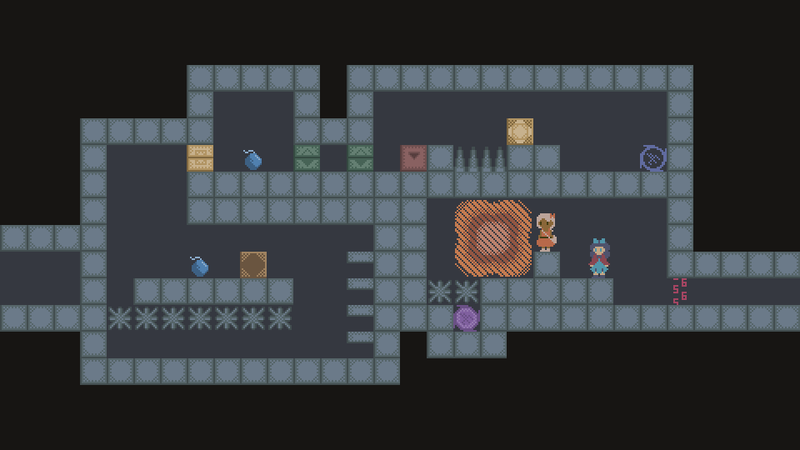 This is a puzzle game where you control two characters, and must get both to the end of each level. You can play it One-Player and switch characters with a button press, or play local Two-Player and control one each. Each character has her own capabilities - Asha using items, Brooke casting spells - and you'll need both to work your way through! There are downloads available for Windows and Mac OS. Other platforms supported by Unity are possible given demand, but these are the only two I can test. Videos and live streams are allowed. 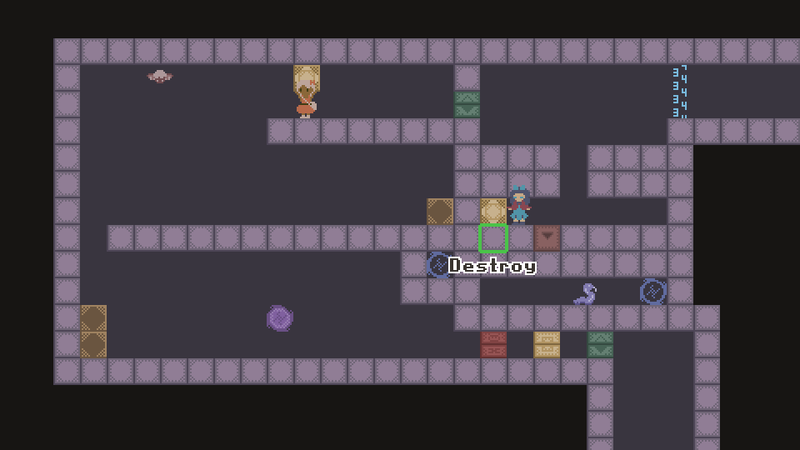 The Dungeon Editor makes use of the F1 and F2 keys. On some laptops, these may perform system functions like changing volume instead. Holding the Fn key will make them work normally, or you can look on your computer for a setting to switch the behavior. The 7 and 8 keys also work as alternatives. You can use a special code to set the game as cleared, unlocking Level Select and the Dungeon Editor within. Warning: Since this unlocks Level Select, which also contains all scenes, doing this may spoil the plot. 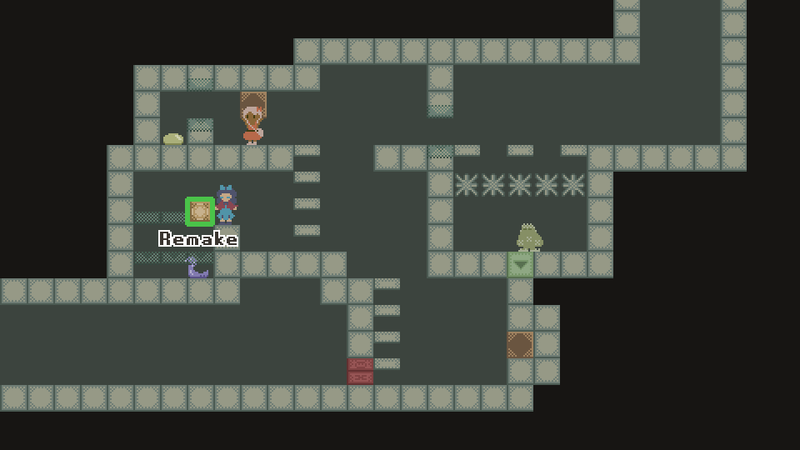 There is also a scene with some spoilers upon entering the Dungeon Editor for the first time. Enter the Options menu and go to Audio Options. Set Music Volume to 2%, Sound Volume to 22%, and Talk Volume to 15%. Select Back. If done correctly, the character switch sound will play, and the volumes will reset to 100%. Afterward, go to Data Deletion. Choose Create Game Progress and confirm three times. Once the game is set as cleared, One-Player and Two-Player will take you to Level Select instead of loading. I'm gonna be the Goddess when I grow up!